Hello again all! Today was supposed to be Try It On Tuesday, but since I’m highlighting newer colors that probably disqualifies it. I may still post an untried later! 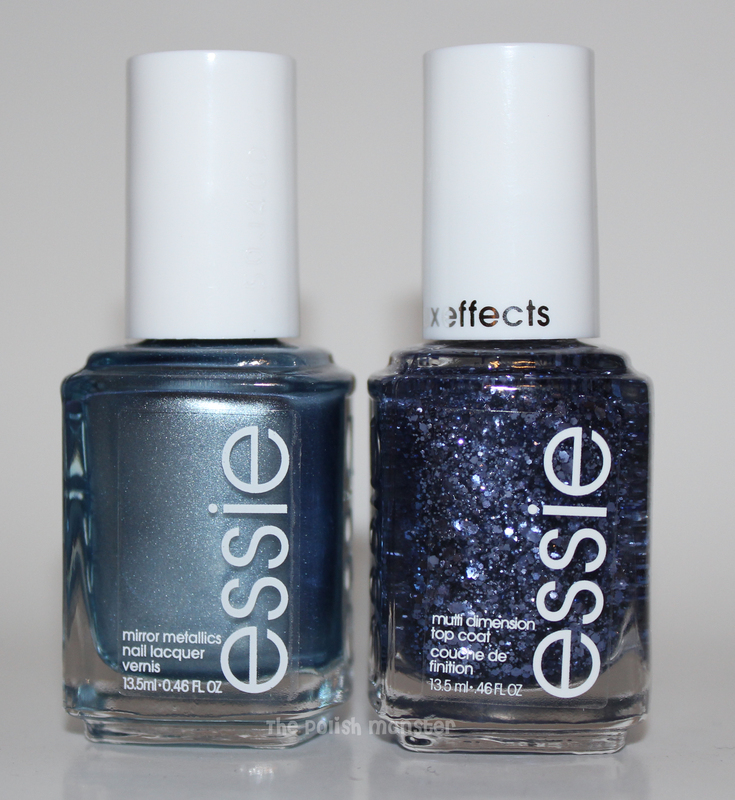 Today I’ll be showing 2 brand new shades by Essie: Blue Rhapsody and Stroke of Brilliance. 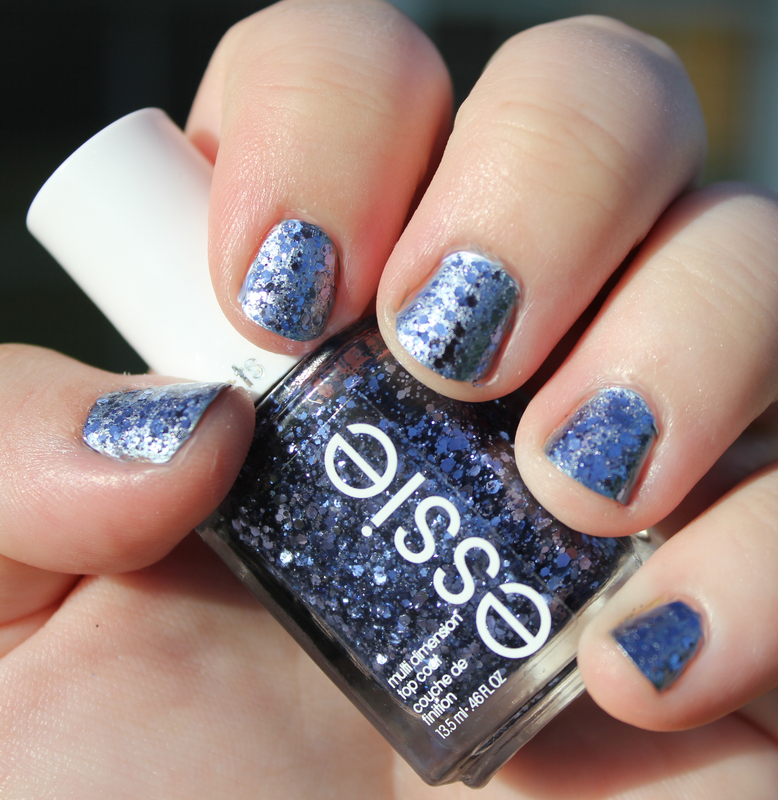 Blue Rhapsody is part of Essie’s new Mirror Metallics line, and as you can probably guess from the name- is blue. 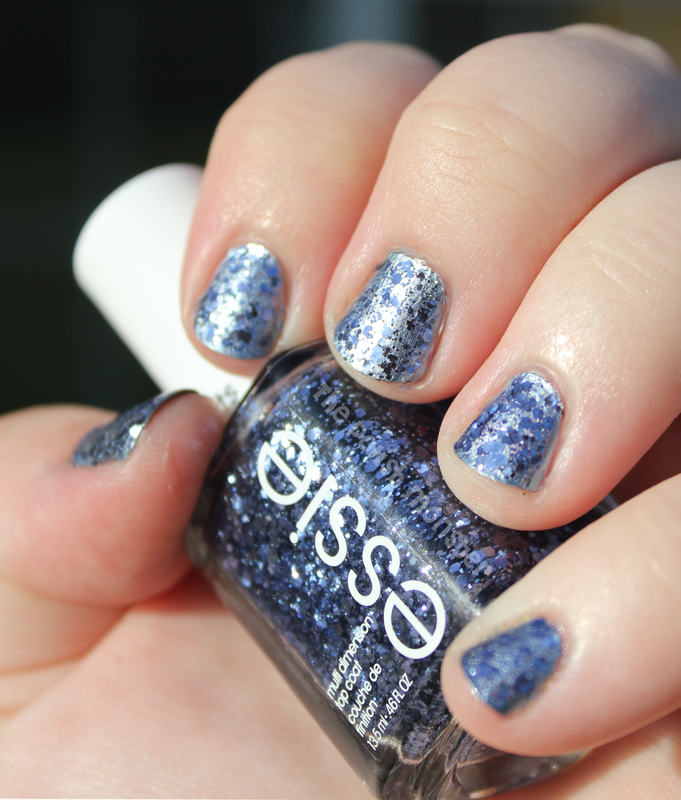 Stroke of Brilliance is a brand new addition to Essie’s LuxEffects line, and is a pretty blue glitter topcoat. I actually only bought Blue Rhapsody because I knew I’d be eventually adding Stroke of Brilliance to my stash when I found it. So the moment I finally spotted it at Walgreens, I came home and paired the two up as planned! And they make a very stunning combo! 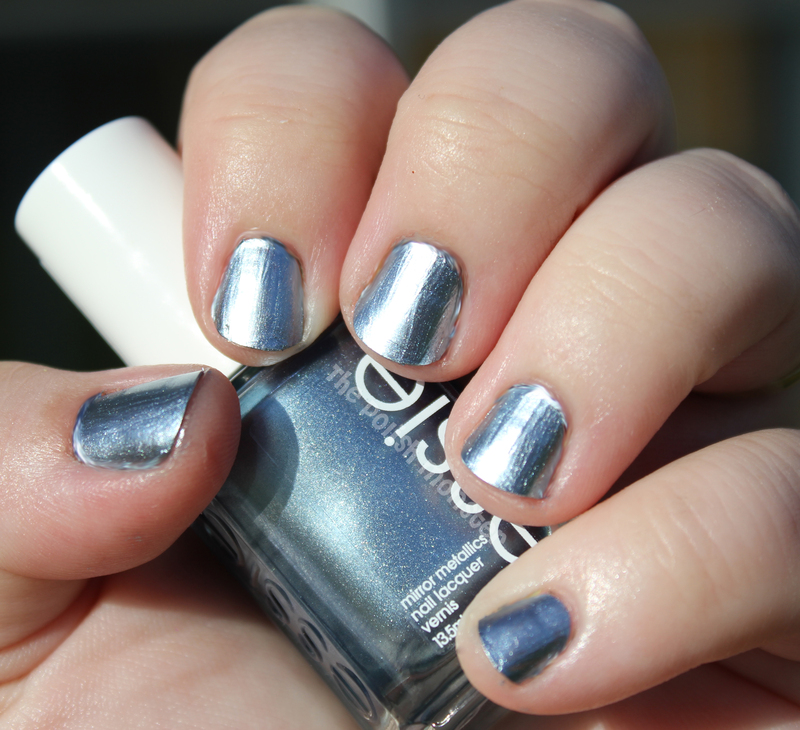 This is a very pretty blue metallic polish. I’d honestly say it’s more like a chrome than a mirror (when I think of mirror, I think of Layla Mirror Effects or those pure-foil Minx), but it’s very pretty. This is only 1 coat! These polishes are all true 1-coaters… which also makes them PERFECT for stamping. The only downside to this type of polish is that it will show every single ridge or bump on your nail, as you can see in my photo. I was wearing a base coat, too! So to really get a great effect wearing these colors I would recommend buffing. Then I added 2 coats of Stroke of Brilliance! I did a bit of dabbing for glitter placement, though it wasn’t really necessary. This was 2 coats of Stroke of Brilliance- so you can tell it would probably take a LOT of coats to wear it alone. Both colors retail at around $8, and can be found at most drugstores, Target and Walmart. I haven’t seen Stroke of Brilliance anywhere but Walgreens yet, though. Be sure to check the regular Essie display and not just ‘special’ displays- at one Walgreens, I found this on a special LuxEffects display in the front, but at a second Walgreens it was found just in the normal LuxEffects spot on the standard shelf. This entry was posted on July 17, 2012 by The Polish Monster. It was filed under Uncategorized and was tagged with Essie, glitter, mirror, NOTD. gorgeous! those colors were meant to be together!